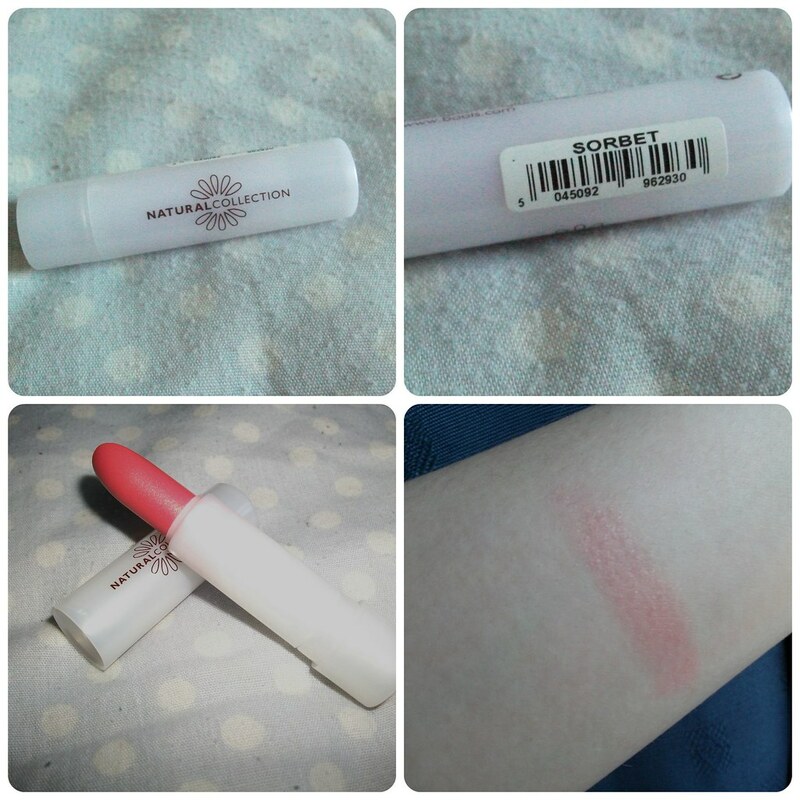 I recently received this Natural Collection Lipstick in the shade 'Sorbet' as part of my giveaway prize from Lauren; I've had good experience with Natural Collection's products in the past so I was excited to see this in my package! As with all Natural Collection products, the packaging is fairly basic; a white plastic tube with the brand logo, and the shade name printed on the barcode sticker. 'Sorbet' is a peachy pink shade in the bullet, with plenty of shimmer, which when swatched is a very subtle pink in colour. As you can see, on the lips this looks very natural and creamy; it applies really nicely and feels comfortable to wear, although it did seem to accentuate dry patches, probably due to being so light in colour. The shimmer is still there and noticeable, but in a way that makes your lips look plumper rather than glittery! For me, this is a perfect day-to-day shade as I don't tend to wear bright or deep lip colours very often - too high-maintenance for me! The lasting power wasn't great, around an hour, but being such a subtle shade it doesn't look a mess as it wears off so if you don't get chance to touch-up, it doesn't really matter. 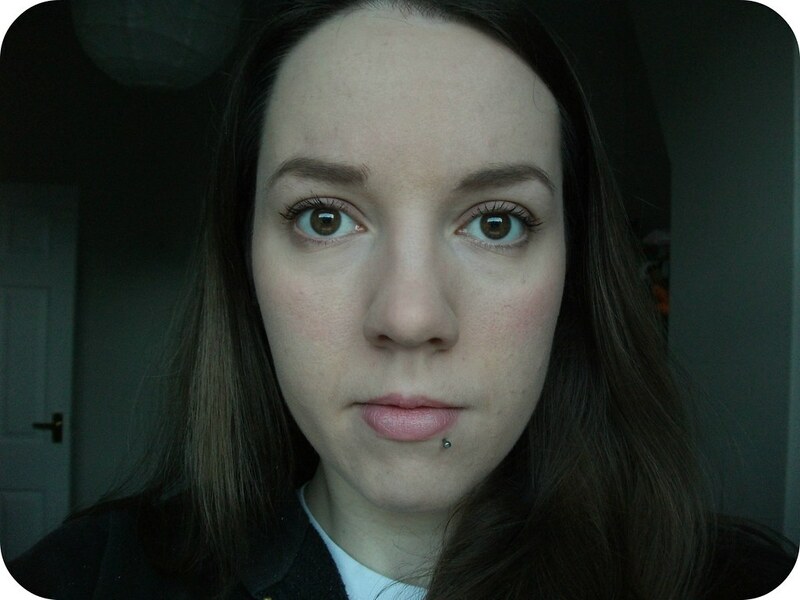 I paired this with equally subtle blusher and eye make-up for a natural, everyday make-up look which I actually really like; it makes me look polished and healthy (and awake!) without being overdone or too flashy for daytime wear. I can't actually find the lipsticks listed on the Boots website currently, but I believe they're usually priced at £1.99. 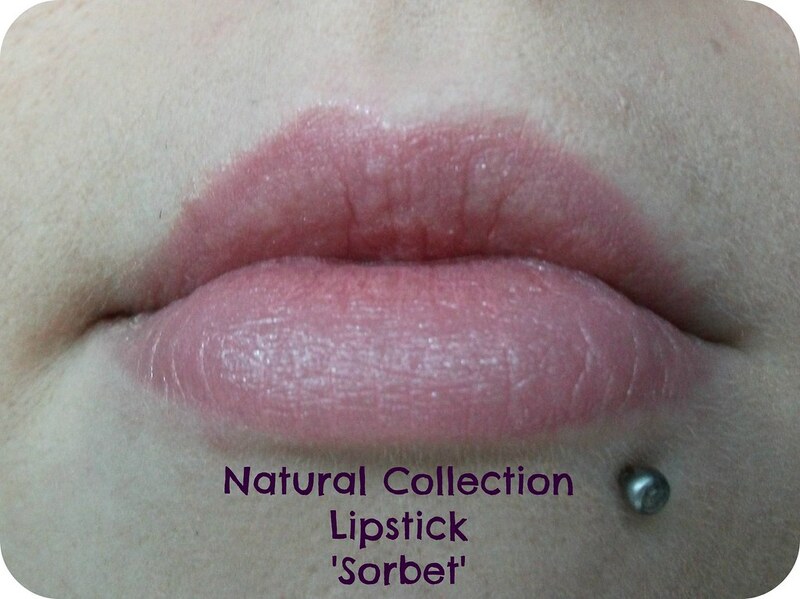 Have you ever tried a Natural Collection Lipstick? What do you think of 'Sorbet'? Do you prefer a subtle lip colour, or something a little brighter? This is a lovely everyday lipstick. Looks lovely on you. As much as I love a bold lip, I'm always a fan of that barely there, polished lip shade too. Like you said, low maintenance.. it looks great on you! That's such a cute colour! This is extremely pretty an so natural looking...as the brand name would suggest. I like this range of lipstick, I have one in the shade 'Pink Mallow' I think.